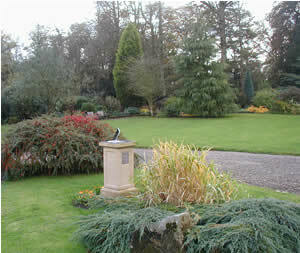 Looking the other way across the park with its large central pond. 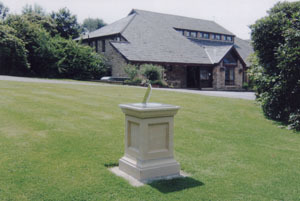 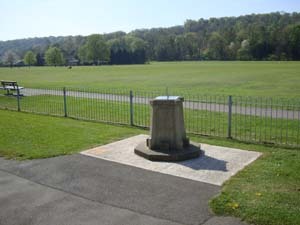 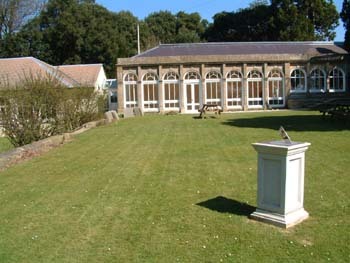 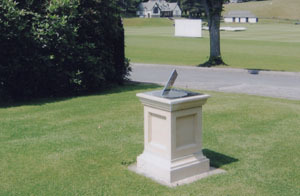 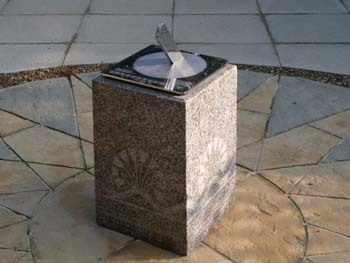 The sundial is indicating a time of 5 minutes past 4 (summer time) or 5 minutes past three (winter time indicated by Roman numerals). 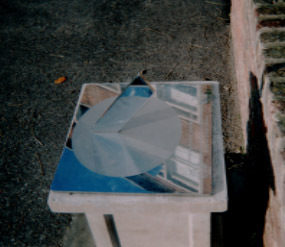 Note the cloud reflections. 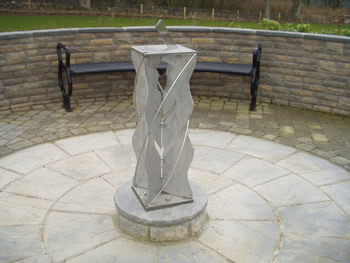 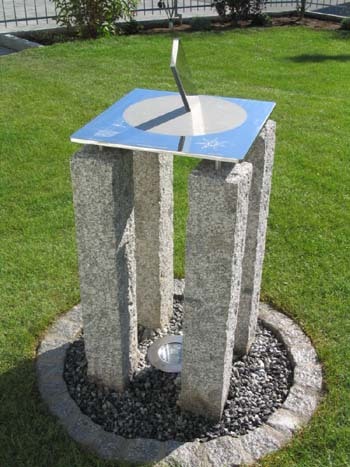 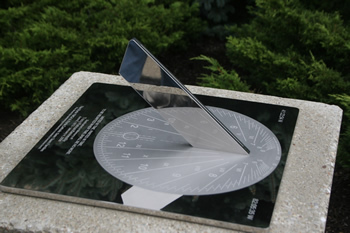 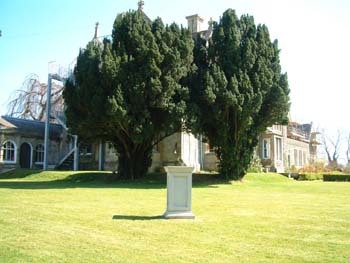 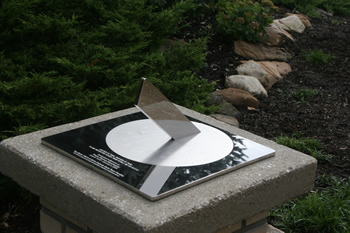 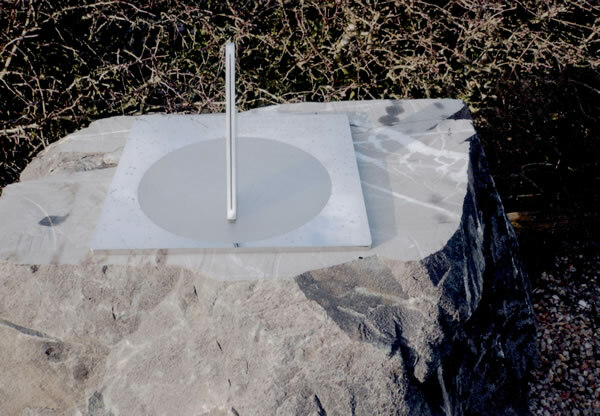 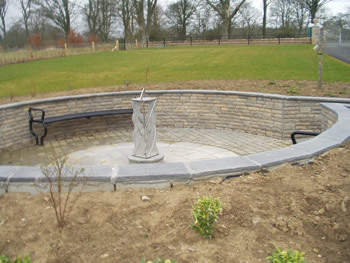 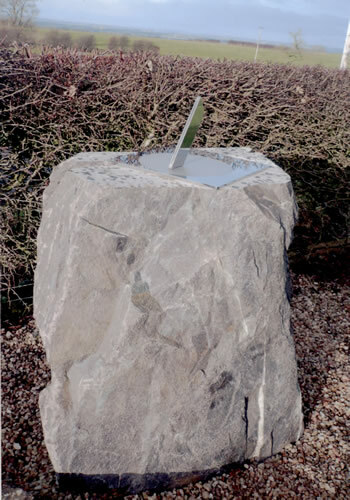 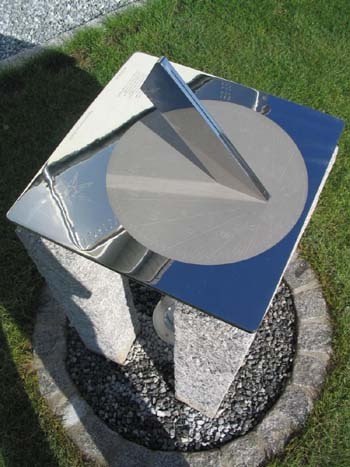 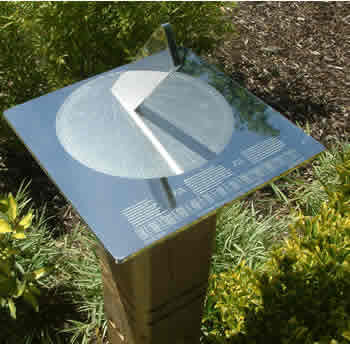 The sundial commemorates the 10th aniversary of the opening of the offices of Boston Scientific in Ireland. 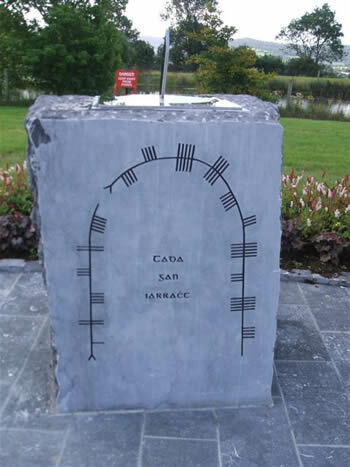 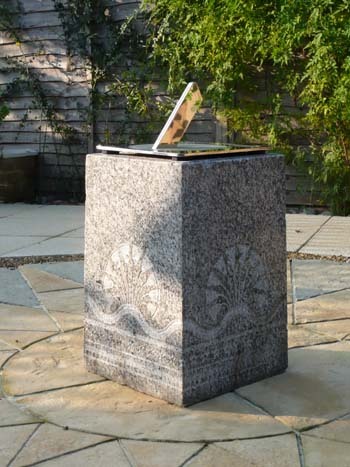 The plinth is a large natural rock, which has been planed on one side to take an inscription in Ogham, the ancient language of Ireland. 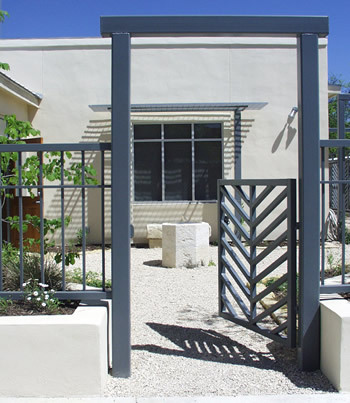 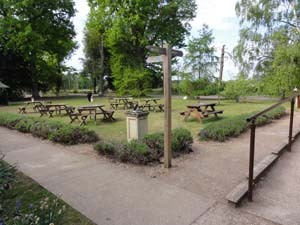 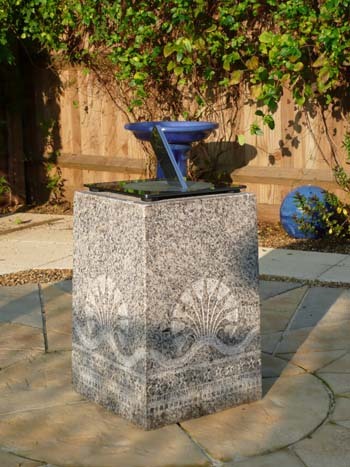 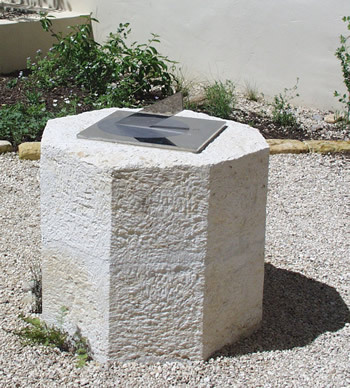 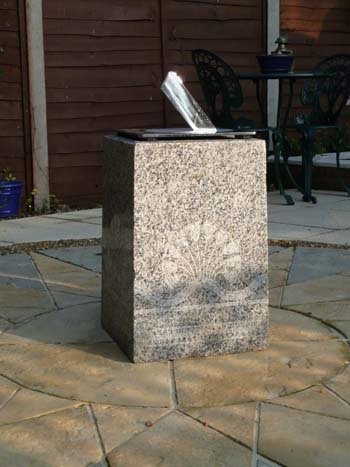 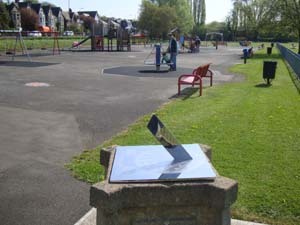 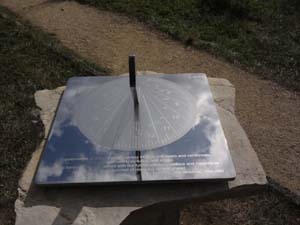 This sundial is a memorial to Max Nicholson who was much involved with the Wildlife and Wetlands Trust, and many other parts of the environmental movement. 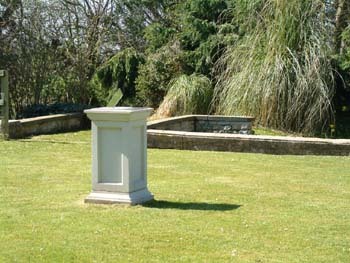 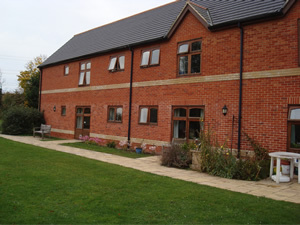 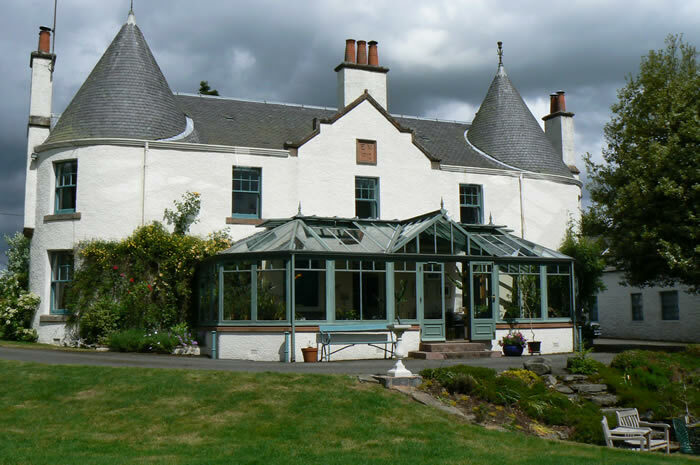 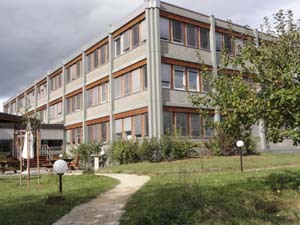 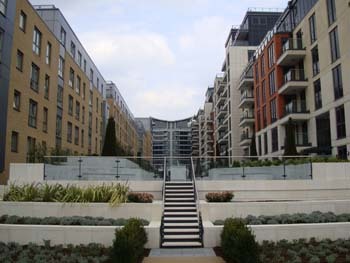 (More details on www.maxnicholson.com). 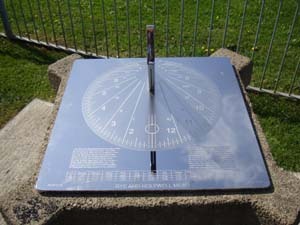 The hour lines have Arabic numerals for summer time and Roman for winter time; between the hour lines are short ten-minute lines and five-minute spots. 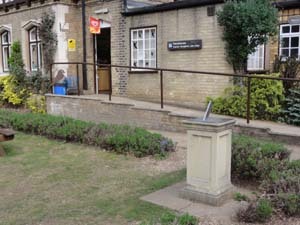 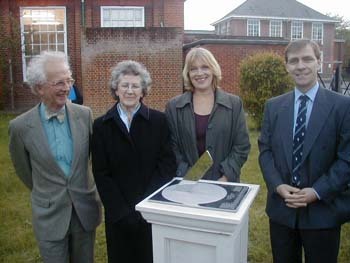 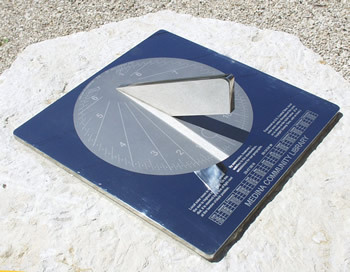 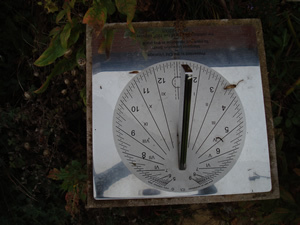 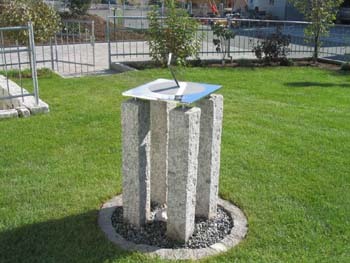 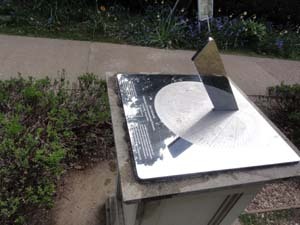 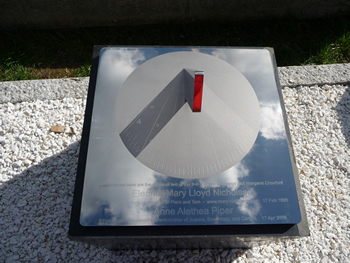 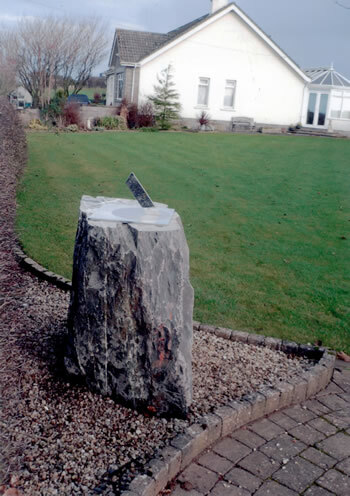 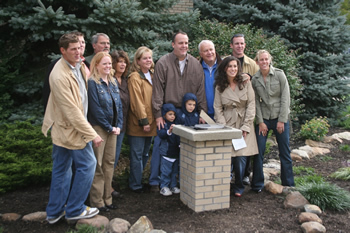 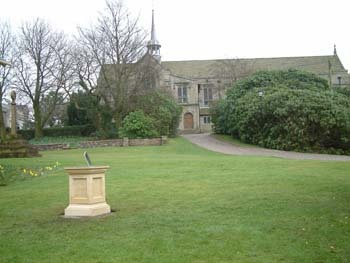 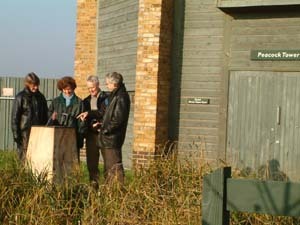 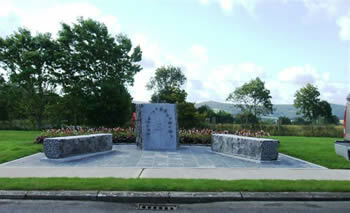 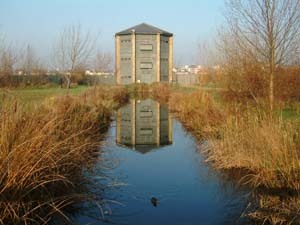 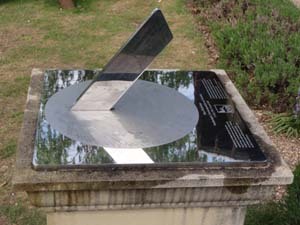 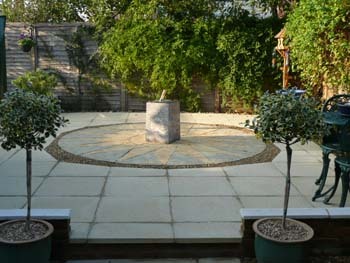 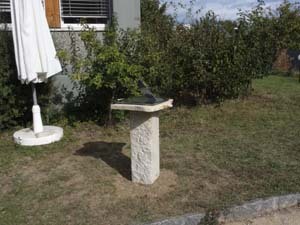 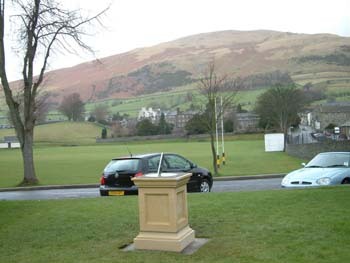 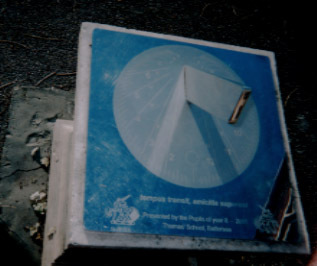 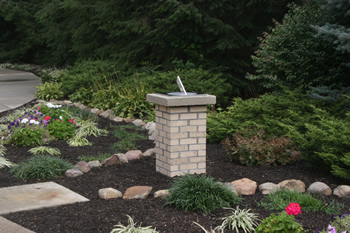 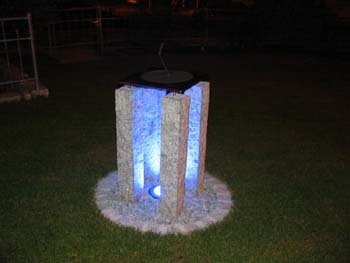 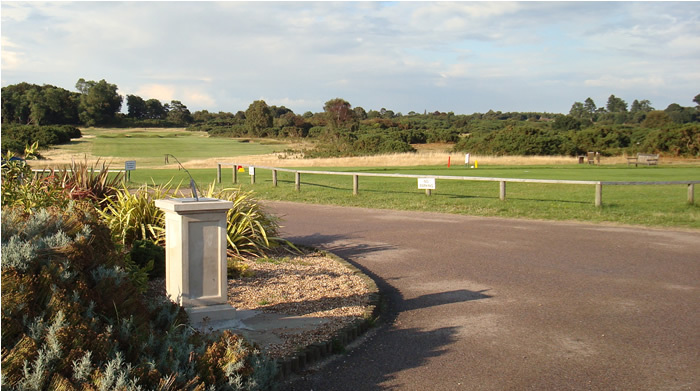 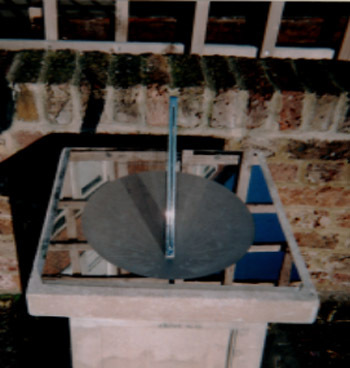 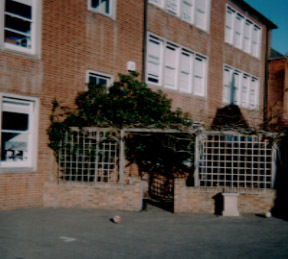 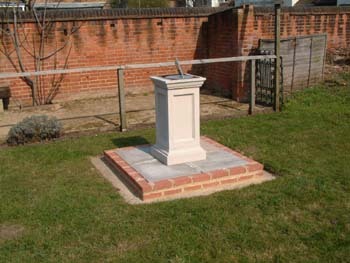 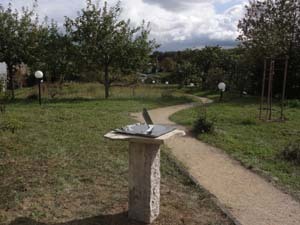 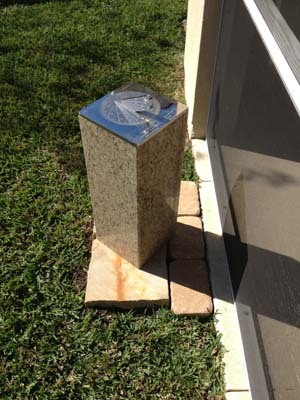 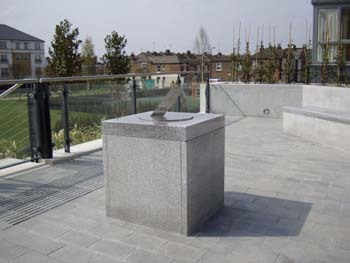 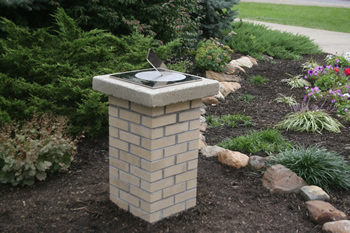 This picture was taken at 17 minutes to 1 in November 2004, just after the sundial was put in place. 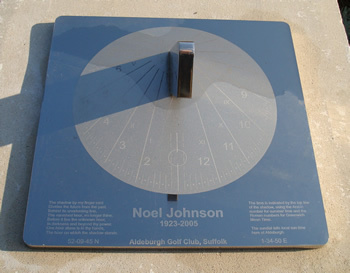 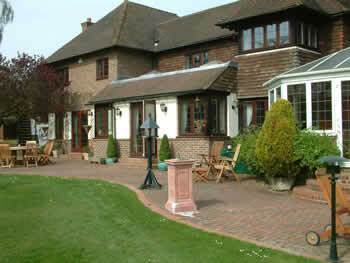 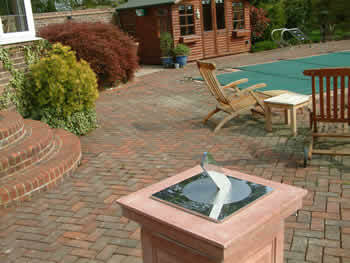 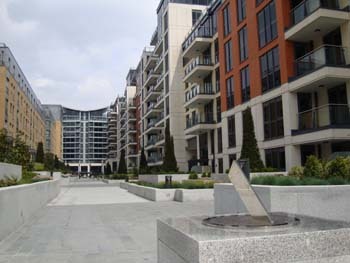 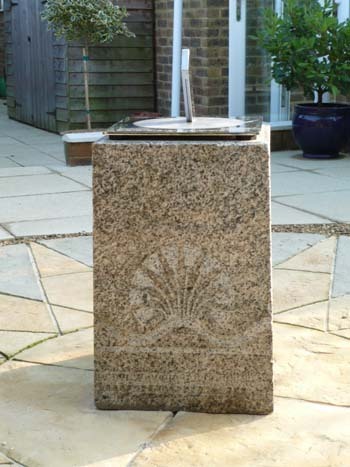 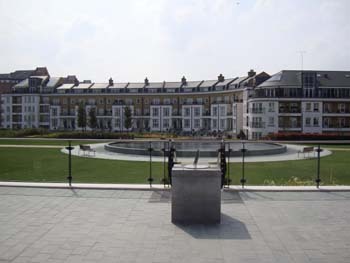 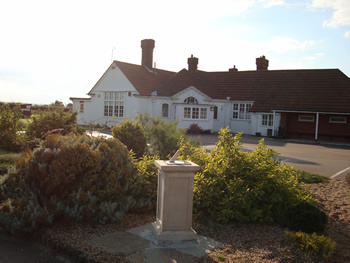 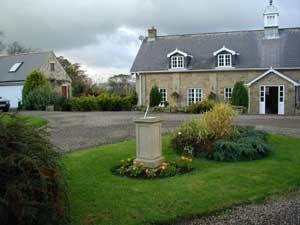 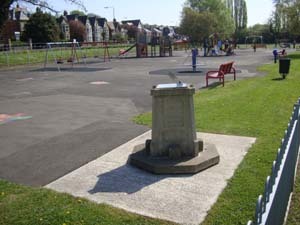 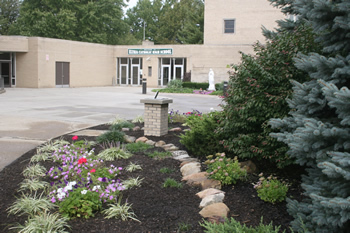 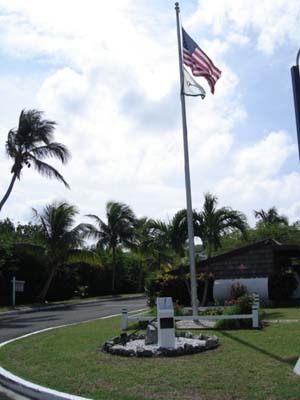 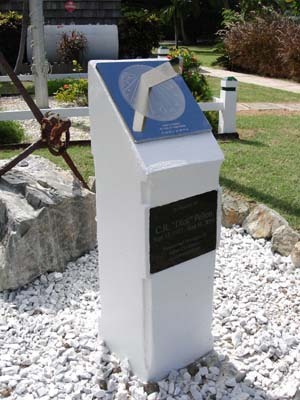 The sundial is at the entrance to a popular marina. 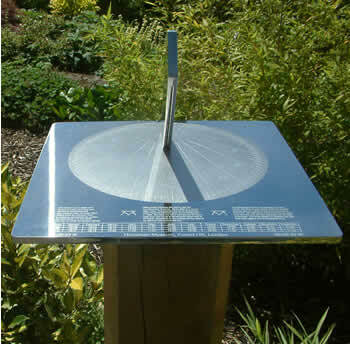 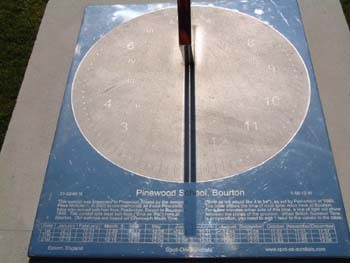 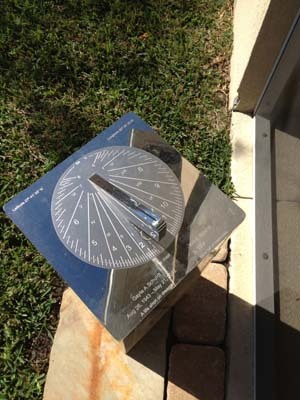 Horizontal sundials are not very practical in the tropics, because the gnomon is too close to the diallate, and the hour lines are very crowded together.